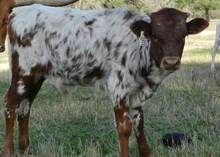 This young cow is producing monster composite horn. 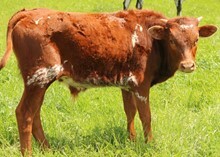 A Triple LWC Bronze winner, she will be over 200" Composite well before her fourth birthday. Great personality, good momma, big and complete, she is a show stopper. 106" TH at 6!